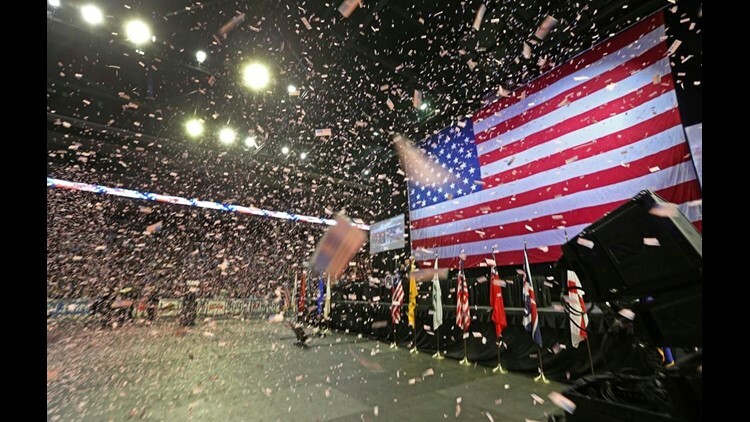 SAN DIEGO (CNS) - U.S. Small Business Administration Administrator Linda McMahon and Sen. Joni Ernst, R-Iowa, are among the scheduled speakers today at the California Republican Party convention at the Sheraton San Diego Hotel & Marina. A breakfast today will showcase "New voices of the California Republican Party," including Morgan Murtaugh, a political commentator for One America News Network who is challenging Rep. Susan Davis, D-San Diego, in the 53rd Congressional District. In an op-ed written for Fox News.com, McMahon wrote, "Through cutting taxes, rolling back overly burdensome regulations, supporting workforce development and enhancing opportunities in rural America, this administration is showing that a thriving economy creates an even stronger America. "This is a terrific time for entrepreneurship, and the SBA is working to power the American dream by removing barriers to small businesses." "Section 1008 of the Public Health Service Act clearly states that no federal funds appropriated for Title X for family-planning services `shall be used in programs where abortion is a method of family planning,"' the senators wrote. "However, the program's current regulations undermine the law. We ask that you restore the regulations issued on Feb. 2, 1988, which clarified that Title X programs may not promote, counsel, or refer clients for abortion or co-locate or combine family planning services with abortion activities."